The Group of authors under direction of Arnold Lolaev and Anatoly Babenko - a member of the Union of Artists of Russia, together with known architects, designers and set dressers, is accepted with orders for registration of design of interiors with use of a stucco moulding from plaster. 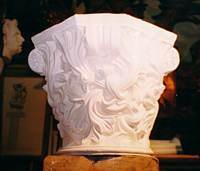 Huge experience of these sculptors allows them to work freely in various styles - classics, a gothic style, a modernist style, a baroque, an empire style and a rococo. Masterful possession of a material and art taste transform facades and ceilings into unique works of art where each line of a relief is exact and graceful. 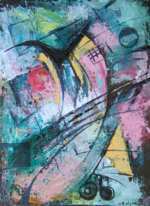 Works of artists differ thin study of all details of a modelled decor and reliefs, pay attention to photos of ready interiors in section Our works. 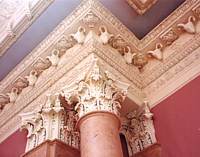 On a photo you can see use of elements of a stucco moulding: capitals, ornament, an ornamental frieze and vases in design of an interior and registration of facades. 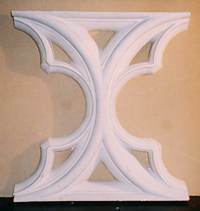 For creation of a stucco moulding is used plaster, classical, absolutely natural and ecologically pure material. At will of the customer probably manufacturing of a stucco moulding from poliuretan. 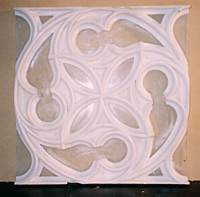 Cooperation with the building and design organizations: Arnold Lolaev and Anatoly Babenko offer the services on an ornament of interiors a plaster stucco moulding. High quality and artistry of work is guaranteed.